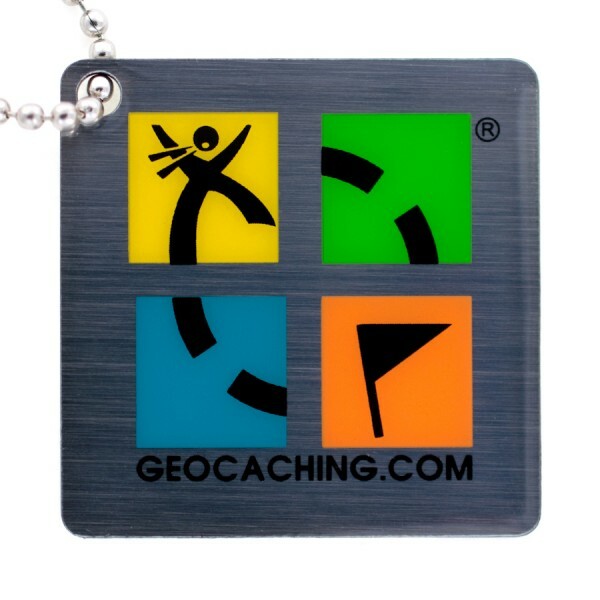 This Official Geocaching.com Travel Tag is sure to become one of the classic favorites among geocachers. It is a great way to show fellow cachers your Geocaching.com pride. Prominently featuring the official Geocaching.com logo on the front, the attractive multi-color artwork boldly stands out from other travel tags. This travel tag is constructed with high quality stainless steel for a noticeably durable feel. The full color logo on the front side is coated in an epoxy resin that keeps this travel tag looking good as it moves from cache to cache. The stainless steel and enamel resin are uncommon premium features - most other travel tags are made of soft aluminum can be scratched or damaged easily.